Record it, animate it, brand it and share it… motion is the way of the future for getting a message to your audience. Storyboarding. 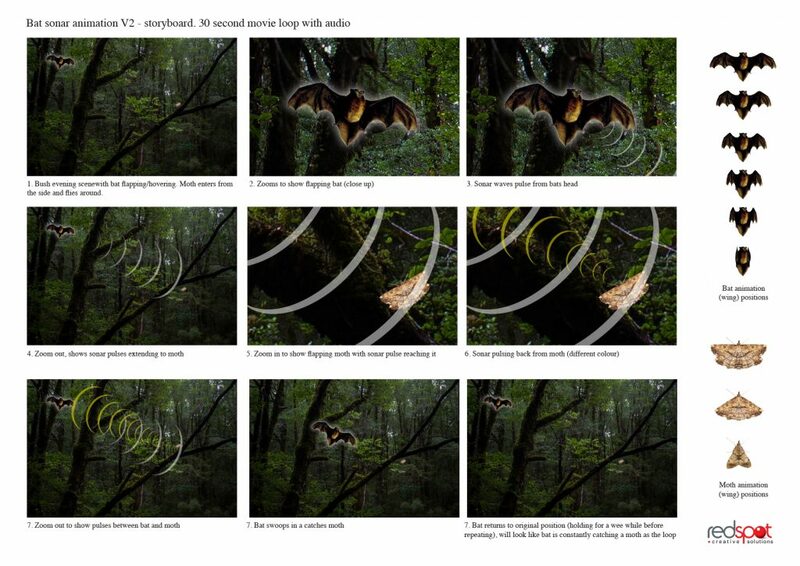 From the discussion phase of the idea, a storyboard concept is used to provide a visual of the project. This then becomes the roadmap when producing the required results. One of several promotional videos introducing new products. For use on client website, social media etc. Sponsorship acknowledgement. Used as part of event entertainment during an industry trade show. Competition advertising using campaign graphics and local voiceover recording. 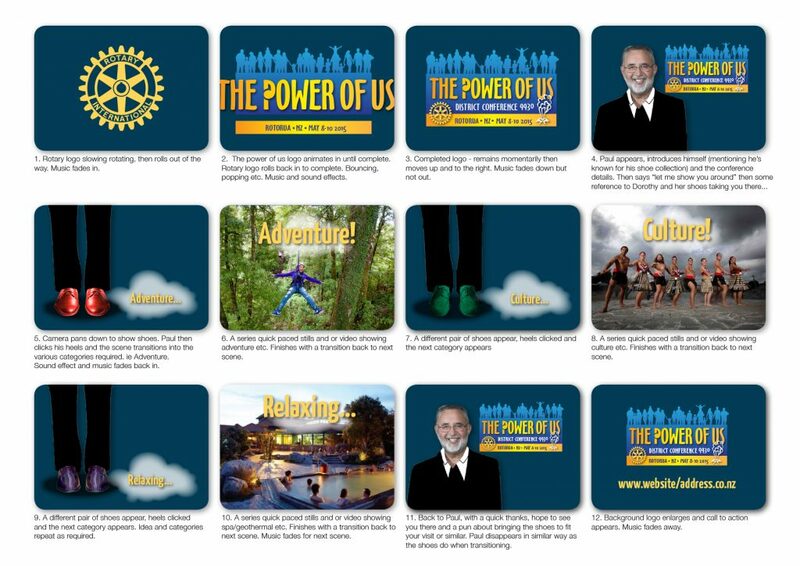 A fun promotional video for Rotary using supplied video and imagery. Used on social media. 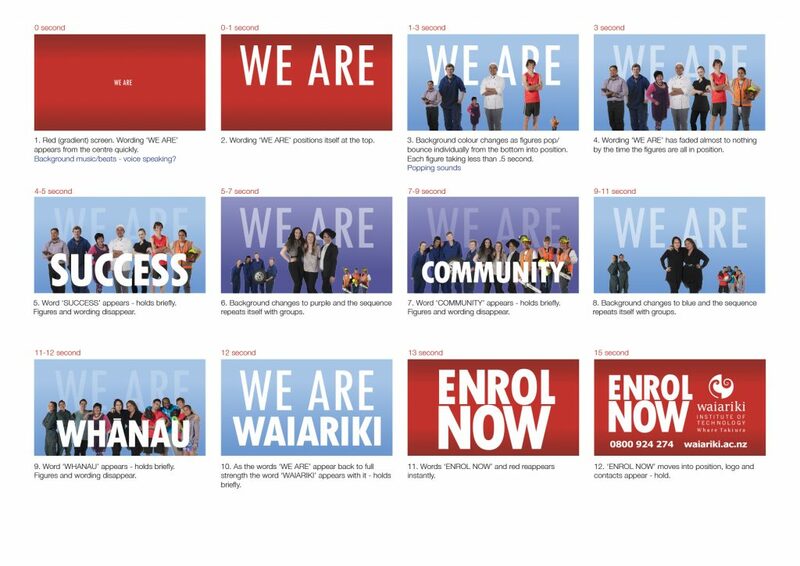 Part of an online induction course. Supplied graphics were animated to take the user through the processes required. Promotional video celebrating 10 years business for use on social media. Still images and voiceover supplied. Polytech ondemand TV advert using still images. Educational loop accompanying an interactive museum display. Background looping video for ‘Lord of the Rings’ themed conference dinner. Short X Factor-style awards winner intro for conference function, viewed on big screen. Speed digital painting by Glenn McLeary.